PAX Prime last week was the first exposure to the broader public of the actual, physical Munchkin Axe Cop game. To say it was well-received would be inflecting a degree of modesty that doesn't come naturally, so we'll just say we're happy. Also happy were the hordes who played the game. So happy, in fact, that some began adopting puns and quotes from the game into their regular vocabulary. One card in particular seemed to turn a useful phrase: "That makes sense, right?" 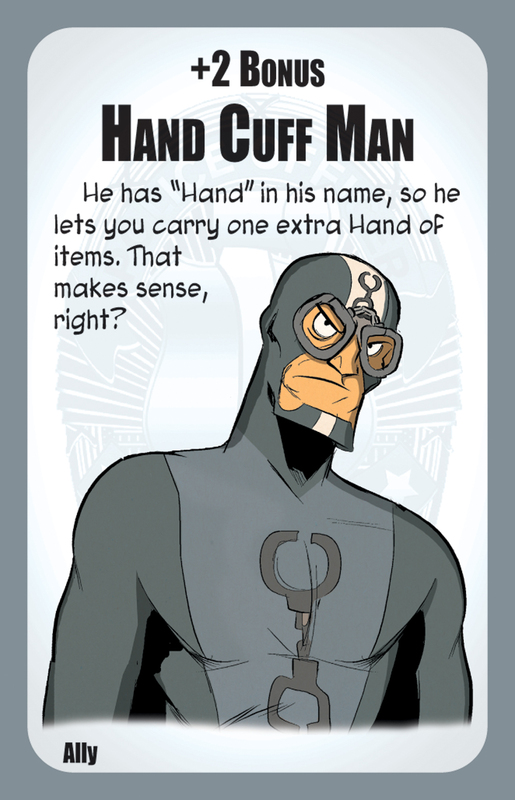 Hand Cuff Man is an Ally in Munchkin Axe Cop, available this fall in game stores everywhere.